I’ve been chasing ghosts for years. Pay-dirt! That’s the room I want. 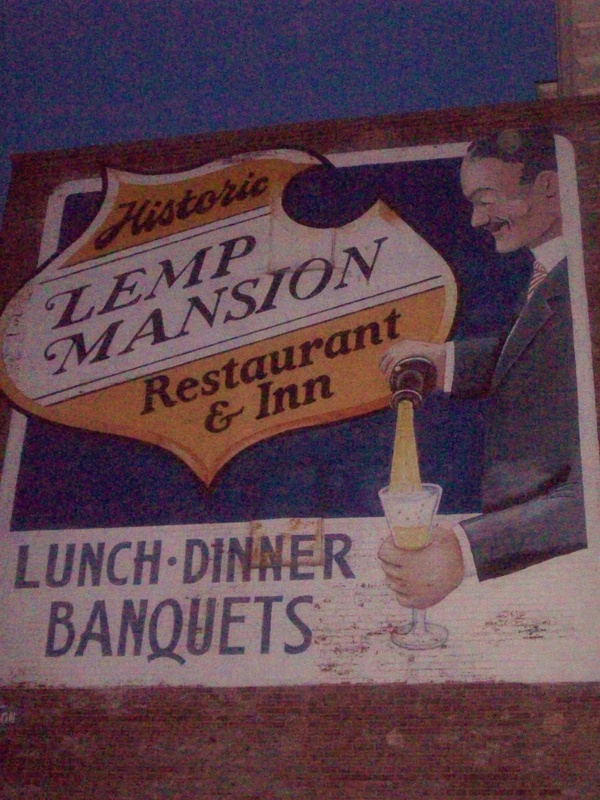 In St Louis, for our friends Rick and Laura’s wedding a few years ago, we stopped at the Lemp Mansion for a delicious dinner……..and a ghost story or two. 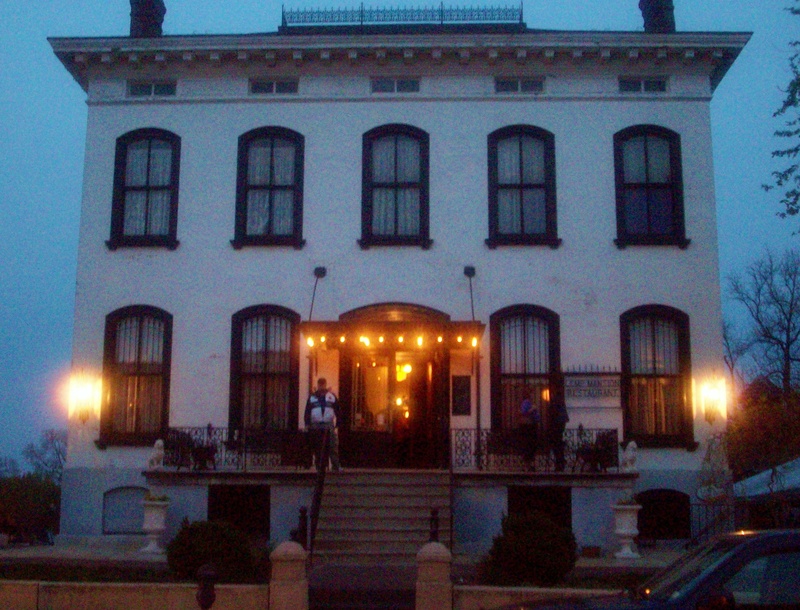 Life Magazine named the Lemp Mansion one of the most haunted places in America in 1980. And it doesn’t disappoint. If my hazy, grainy photos don’t send shivers down your spine, just wait till you hear about the 4 Lemp family suicides that happened in the house……and the young boy who died chained in the attic. Locals say that you can occasionally see him peeking out of one of the little attic windows. The Hotel Jerome in Aspen is another of my favorite haunted places. I’ve never been lucky enough to spend the night; but I’ve eaten in the restaurant, had drinks at the bar and even attended a dear friend’s wedding there. 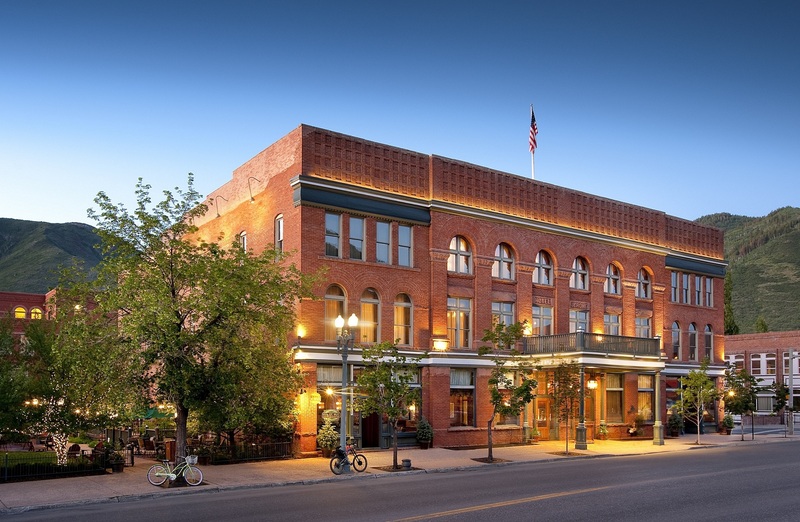 Built in the 1880’s by Macy’s co-owner Jerome Wheeler, the Hotel Jerome was the first Aspen hotel with full electrical lighting and a grand ballroom. The hotel also boasts a number of famous deceased inhabitants like the ghost of a small boy who reportedly drown in the hotel’s pool. He appears to guests in room 310 shivering and wet only to disappear leaving behind a trail of soggy footprints. There’s also stories of a long-dead maid that still makes her rounds turning down guest’s beds before the living maids have a chance to. There’s so many ghosts in Key West, that we’ve had to take a couple different ghost tours. Robert the doll is my favorite spook there. In fact, you have to ask his permission to take his picture. If you don’t, bad luck will follow you home. Before he moved to the East Martello Museum, Robert lived in this Victorian just off of Duval street with “Big Robert”. Big Robert’s wife was not to fond of the creepy little doll who supposedly played mean tricks on her and she made her husband keep him in the attic. Where he did, propped in a chair in the turret. Neighbors say the doll would wave at passersby through the windows…….on his own. 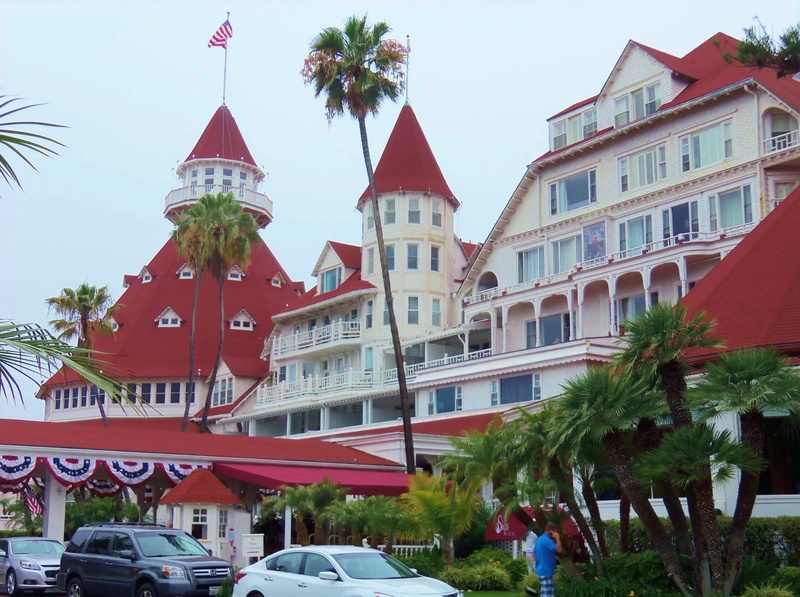 When we were in San Diego last year, I made a solo trek to the Island of Coronado, just to see the stunning Hotel Del Coronado. When the Hotel Del Coronado, the second largest wooden structure in the United States, opened in 1888 it was the largest resort hotel in the world and has since hosted at least 17 presidents (including Roosevelt, Kennedy and Obama), royalty (The Duke of Windsor and Wallis Simpson), and celebrities (Mae West, Charlie Chaplin, and Marilyn Monroe). The hotel’s non-living guests are equally as famous. The ghost of a young girl, Melissa, has been seen wandering the halls looking for her long-lost favorite doll. Another guest, Kate Morgan, checked into room 302, but has never checked out. She is reported to taunt guests with flickering lights, temperature fluctuations, and even strong aromas. The Sloss Furnace in Birmingham Alabama is a pretty spooky place too. The Sloss Furnace produced pig iron for almost 100 years before shutting down in 1971. Under the leadership of foreman “Slag” Woormwood, 47 workers died from the unregulated working conditions; they were denied sleep, food, and even adequate pay to support their families. Slag found pleasure in making his workers perform dangerous tasks. When Slag finally fell* to his death, (* it’s rumored that he was pushed by his workers) his body dissolved instantly upon hitting the molten iron ore, but his soul is said to still wander the furnace grounds pushing people “back to work” and has even been heard growling “Push some steal”. Luckily, we didn’t encounter Slag, but this place sure creeped us out. So why bring up all these spooky places from our travels? Because I think the next haunted place will be our best one yet. ← BOO! Did I Scare You? I have adored you 2 for years, now I love you even more! I love ghosts and going to places to have an experience. I love in a 130 yr old farm house and have had experiences here. Always nice to know others have had experiences also! Awww Shelly, I adore you too. Life is about experiences! And just you wait till you hear where I am now…….it’s almost too spooky to be true…. Come to Sheridan, Wyoming and stay at The Sheridan Inn. Home of Buffalo Bill and haunted by the famous Miss Kate…..
James, you have GOT to check out The Stanley Hotel in Estes, CO, opened in 1909. Very haunted, very beautiful old place. Stephen King was inspired by his stay there is write The Shining & the ABC mini-series by the same name was filmed there. Last month we enjoyed (?) a 2 day stay there, up on the haunted 3rd floor. I was awakened by noises the first night and husband the last night. Hotel employees maybe? Perhaps. Don’t know. But it was a fun and interesting experience. The ghost tour was fun too! Lane, not to ruin any surprises….but, I’m currently sitting the the bar at the Stanley Hotel. Oh good lord. Now that is a weird, no a SPOOKY coincidence!!! The bar is lovely but quite crowded in the evening (boo). Ohhh yeah! When Jamie told me he had a work conference here…I booked my ticket right away. He had never heard of the place. Silly boy. Usually I have to trick him into staying at haunted places. Say HI to Flora and F.O. for me! Another great story. Loved the pictures of hotels & resorts. When I was newly married in 1974, I got to live “rent free” in my late grandparents 1907 2 story Victorian home. My husband was a fireman & worked all night on his shift. I wouldn’t stay at the house on the nights he worked because we had varmints that would run up & down the inside walls & attic at night. No wonder the rent was free. I should have never went to see that movie. To this day, I am a scardy cat to stay by myself. But I love hearing the stories & watching scary movies with my girlfriends. As long as I have company. Oops, the movie name I left out. The Exorcist. Oooohhhh yeah, the Exorcist did a number on me too…….so did the Omen. They don’t make scary movies like that anymore. Wallace, Idaho- I was there a couple of times in the mid 2000’s, it felt like a very haunted town to me, it has a vibe unlike any other place I have been to. I was working alone in an office one evening, it felt like I was being watched. The Jameson Inn is for sure haunted. If you like ghosts, I do recommend Wallace. Plus, it is a beautiful town, Northern Idaho is stunning. I don’t know about all the ghosts (I do believe though and have seen a few on our farm) but I love, love, love the red rug showing in the Hotel Jerome!! !